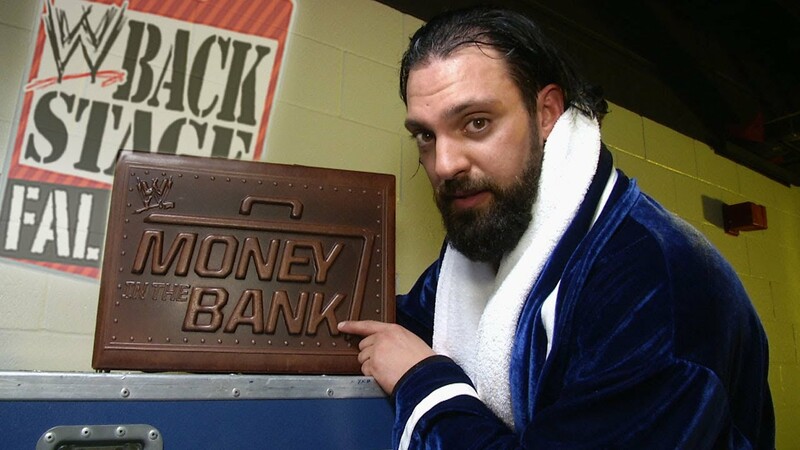 Best known for wrestling with WWE under the ring name Damien Sandow. He is also known for his time in Impact Wrestling and the independent circuit under the ring name Aron Rex, where he was the first-ever Impact Grand Champion in 2016. Since January 2017 he has not wrestled, instead focusing more on acting. Haddad started wrestling in 2001, and began appearing for WWE in 2002 as Aaron Stevens on Heat. From 2003 to 2006, Haddad wrestled in WWE’s developmental territory, Ohio Valley Wrestling (OVW). In 2006, Haddad reappeared on the WWE main roster as Idol Stevens, teaming with KC James and allying with Michelle McCool. In 2007, Haddad was released from WWE, first embarking on a return to OVW, no longer WWE’s official developmental territory, in 2008 and then from 2009 to 2010, wrestling in Puerto Rico for World Wrestling Council (WWC). Signing again with WWE in 2010, he was assigned to a developmental territory, Florida Championship Wrestling, where he adopted the Damien Sandow moniker. In 2012, Sandow returned to WWE’s main roster as an arrogant intellectual. In 2013, Sandow won the Money in the Bank match for a World Heavyweight Championship opportunity, and became the first to lose the cashed-in title match. In 2014, Sandow became a comedic impersonator, leading up to an alliance with The Miz, as his stunt double Damien Mizdow. The duo won the WWE Tag Team Championship. In 2015, Sandow lost the breakup feud to Miz, was put into a team with Curtis Axel, and then taken off television. After his return with sporadic appearances, Sandow was released in 2016.